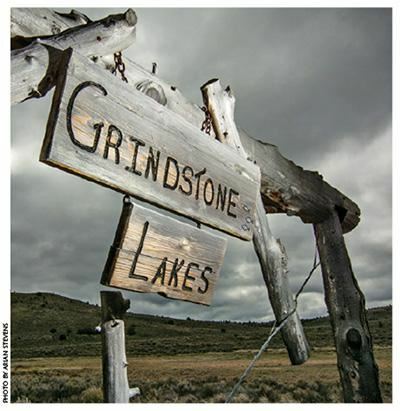 Grindstone Lakes; Approximately 100 miles East of Bend. Pricing includes guides, float tubes, comfortable accommodations, gourmet meals, and non-alcoholic beverages. Pricing: $950 per Sunriver Angler member only. ​Approximately 100 miles East of Bend, the five lakes include Norcross, Blacksnag, Sherman, Grindstone, and Bueker. They range in size from 20 to 70 acres and are chock-full of trout. 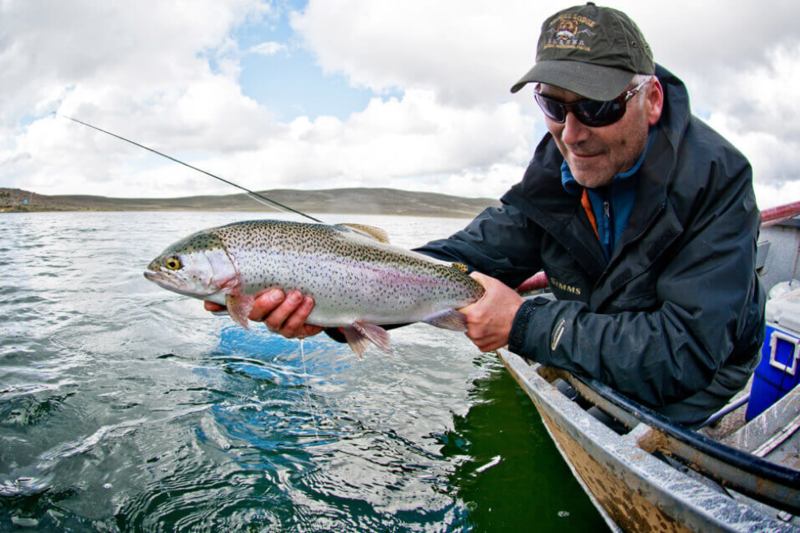 Most of the fish range from 3 to 6 pounds, but some true giants reach more than 10 pounds. Accommodations consist of heavy-duty wall tents set up on platforms. Each tent is equipped with propane heaters and a wood burning stove. Sleeping tents are spacious and are complete with cots and air mattresses. Many guests have stated that they sleep better at Grindstone than they do at home! Full bathroom facilities, including hot showers, are available as well. The Grindstone hosts and team pride themselves in offering hearty home-cooked meals that are sure to please. Most dietary requests can be accommodated. Although a limited selection of flies are available for purchase, it is advised to come stocked up on your favorite stillwater fly patterns.